Build your own header, set up headers, footers, and sidebars for your website. Choose your own color scheme and typography options. Type in the address and other information about your organization. Design and add widgets to your website. Set up the menus of the website. Change the main language of the site (if your main language is not English). Here you can setup global website settings such as site logo/icon, view types for basic modules, site width and site layout options, default settings for page Title Box, Google and PayPal API settings. If you want to change your website typography settings, you need to go Pearl > Them Options > Typography. It’s possible to change typography options for Main (body) and Headings, also Paragraphs, Link, Blockquote and List settings. 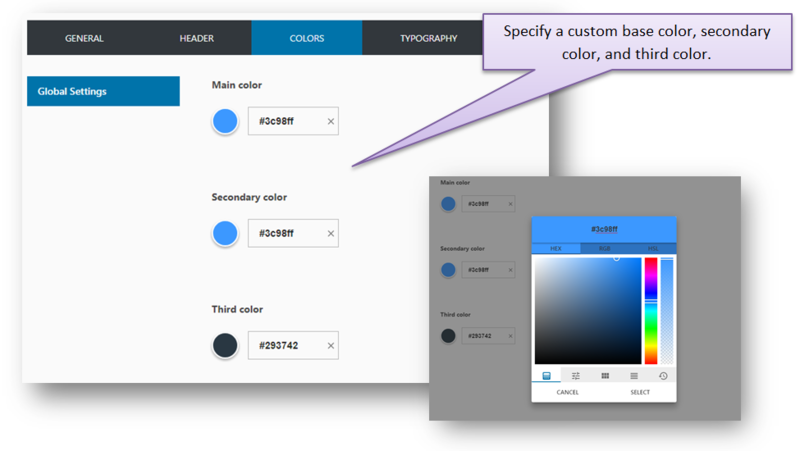 Setting the General Color Scheme for your Website. With the Pearl theme you can specify a basic color scheme for your website. You can select from between three pre-defined schemes or create your own custom scheme by defining a base color, a secondary color and a third color. 1. 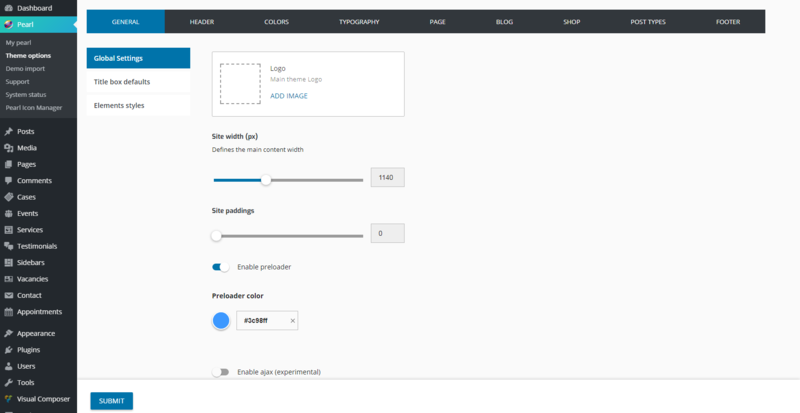 Click on Pearl > Theme Options > Colors in the WordPress menu. 2. Click on the Submit button to save your settings. You can customize the look-and-feel of the header. You can also control what items appear in the header area of your pages. 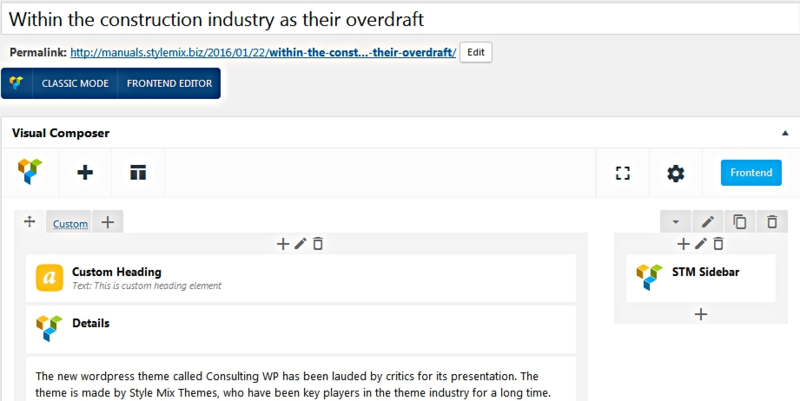 Click on Theme Options > Header in the WordPress menu. You can set up the theme header individually. 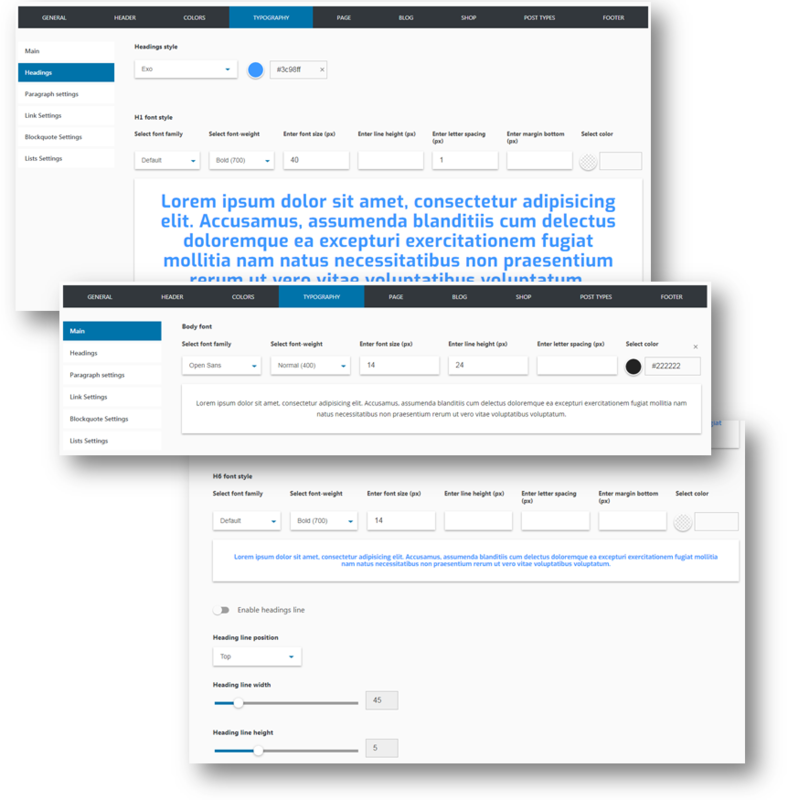 Every section of the header can be modified and it’s possible to add different elements like: dropdown, text, menu, popup, button, infobox, etc. 1. 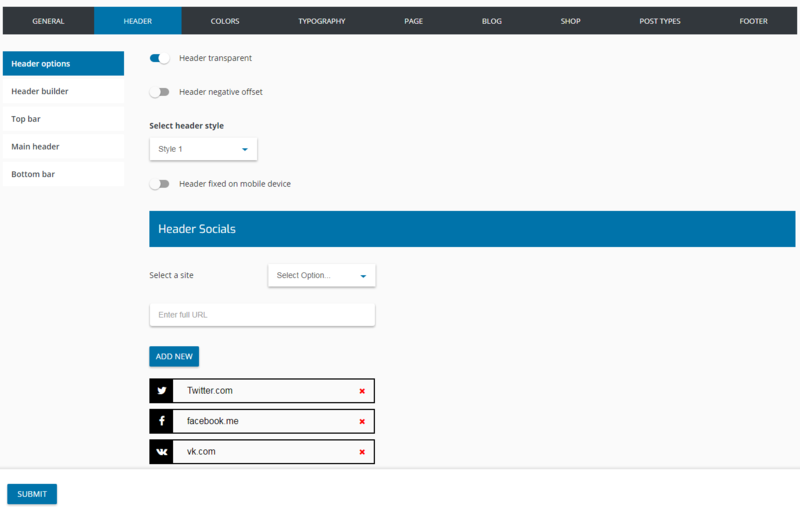 Click on Pearl > Theme Options > Header > Header builder in the WordPress menu. 2. 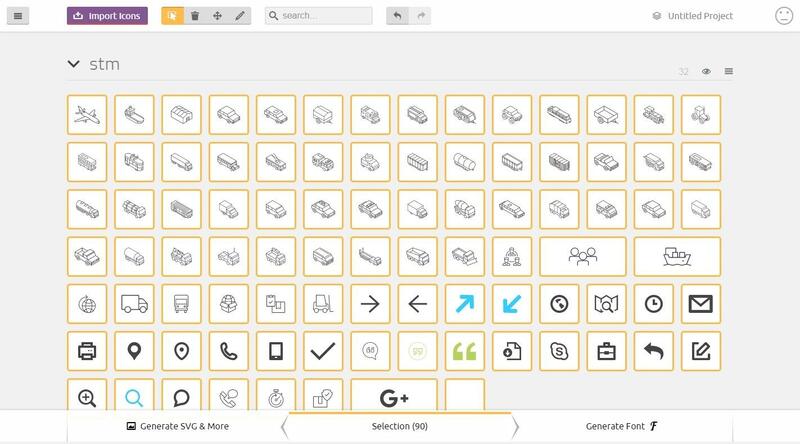 Drag & Drop needed elements. 3. Click on the Submit button to save your changes. As mentioned above, your theme allows you to have a menu at the top of your website pages and up to three menus in the sidebars. 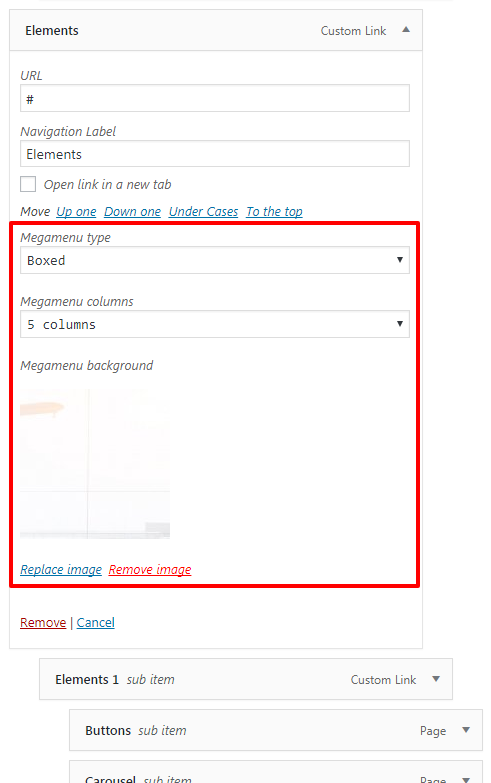 Click on Appearance > Menus in the WordPress menu to open the Menus page. You can now set up the menus as you would do for any other WordPress theme. The Pearl Theme supports up to four menus. You can have a menu at the top of your website pages and up to three menus in the sidebars. In addition to the above locations, you can also add one of the four menus to any page you want using the Visual Composer Custom Menu widget. 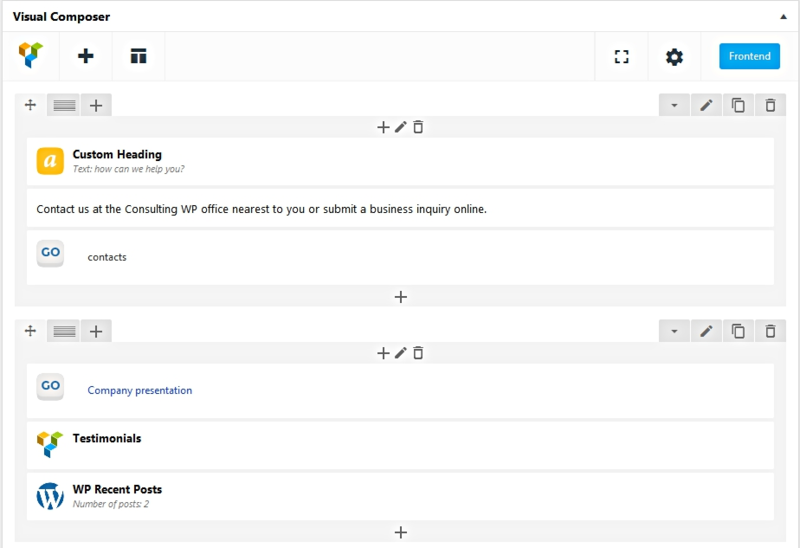 You can customize the look-and-feel of the Footer. You can have up to four footers on your pages/posts. You can control what items appear in the footer area of your pages. You can also select between two heading styles for the footer and write the copyright message to be displayed on the website. Click on Theme Options > Footer in the WordPress menu. Click on Main to customize footer styles, or click on Socials to specify which social icons should appear in the footer and Copyright for bottom footer information. The Pearl Theme has two sidebars, left and right. These sidebars can be selected for archives as well as single pages or posts. You can create additional sidebars using Visual Composer widgets or elements. These additional sidebars can then be added to individual pages or posts. To set up the sidebars, click on Theme Options > Blog (or Shop Pages) in the WordPress menu. While creating or editing the page or post, add a Widgetised Sidebar or an STM Sidebar Visual Composer element to the page. 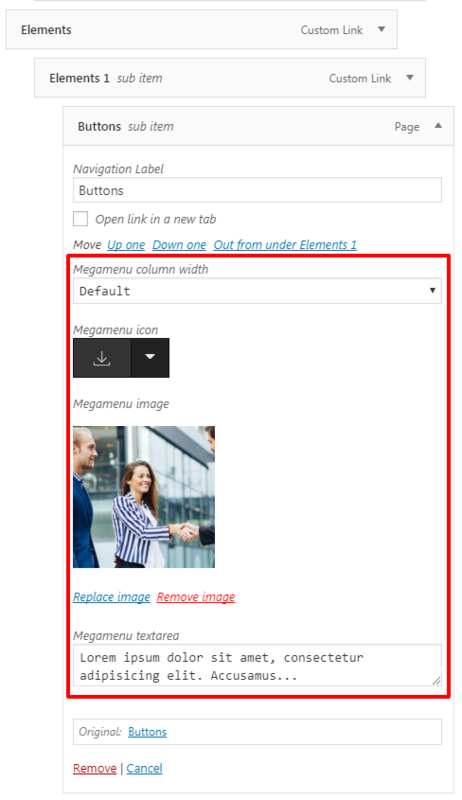 Note: Use the Widgetised Sidebar element if you want to add one of your predefined widgets to the column, and use the STM Sidebar element if you want to add one of your predefined sidebars to the column. In addition to the left and right sidebars, you can create your own sidebars using Visual Composer widgets or elements. You can then add these sidebars to individual pages or posts. 1. Click on VC Sidebars > Add New in the WordPress menu. 2. Design the sidebar as you would design any other page. 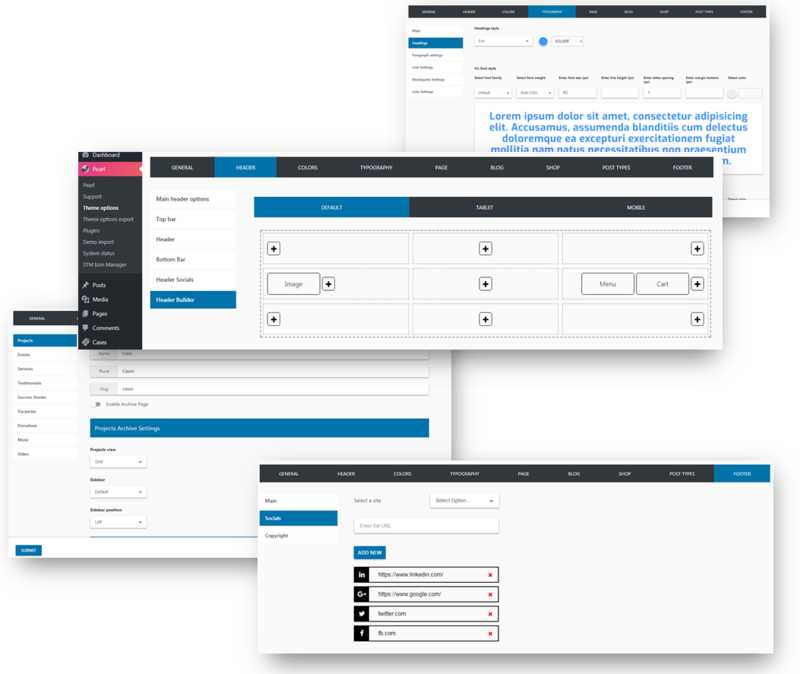 You can also add sections to the sidebar using Visual Composer Elements and Widgets, if required. Note: Once you have created the sidebars, you can add these sidebars to any of your pages or posts. See Setting Up Sidebars for more details. Then you can upload your fonts .zip archive file (which you have downloaded from IcoMoon) via Appearance -> STM Icon Manager -> Upload New Icons. Theme language files are located in a ../wp-content/themes/theme-folder/languages/ folder. - It’s easy to localize your site using Loco Translate plugin. Here you can see the tutorial – https://localise.biz/help/wordpress/translate-plugin/beginners. - Besides this, you can use a PoEdit platform. You can add translation via editing your .po file and at the end, PoEdit generates .mo file for you. Then you can upload ready translation files to primordial folder (../wp-content/themes/theme-folder/languages/). Before adding translations for static strings it needs to rename language files correctly according to your site languages. You can find a list of language codes at WordPress in your Language. As an example, the language code for French is fr_FR, so you would save the translated files as fr_FR.po first, then fr_FR.mo. In order to safe your translations during theme updates, we recommend to save them in ../wp-content/languages/themes/ folder.